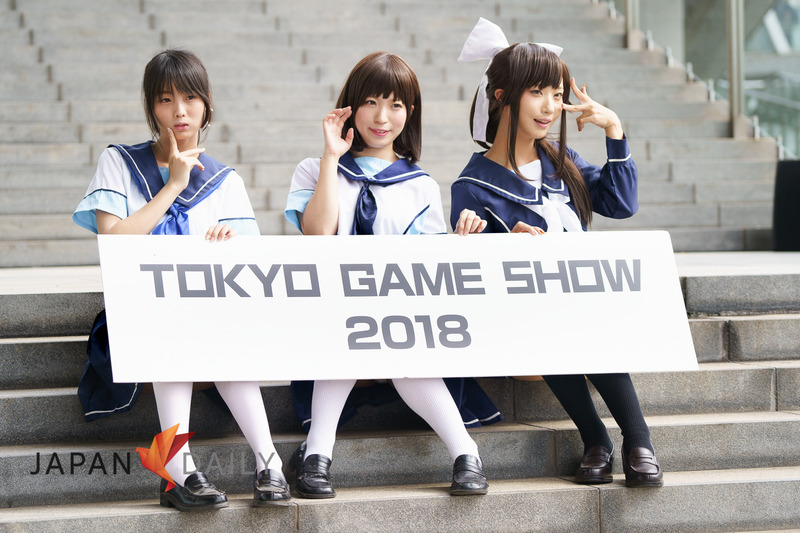 Greetings from Tokyo Game Show 2018, the largest gaming trade show event in Japan! 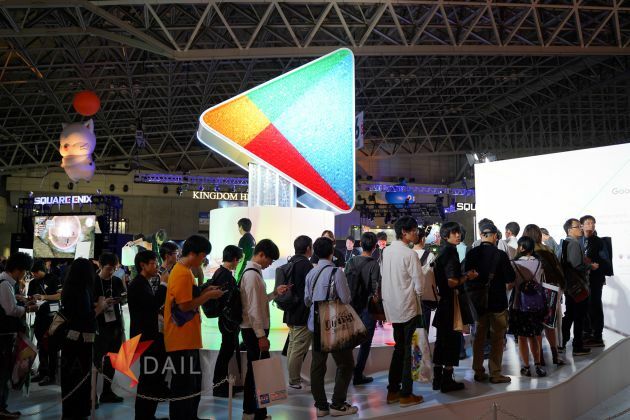 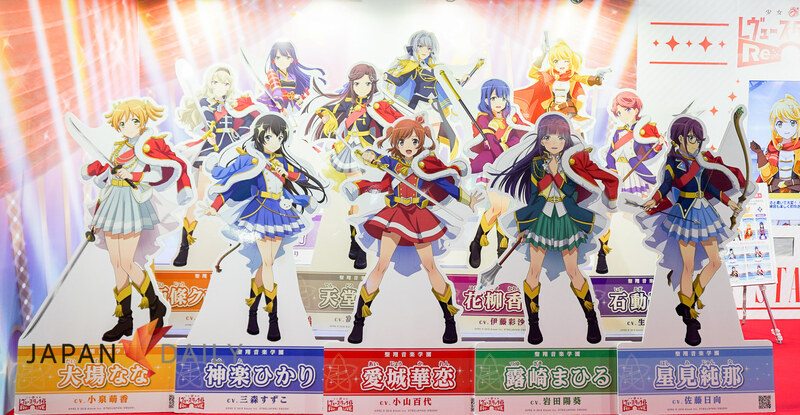 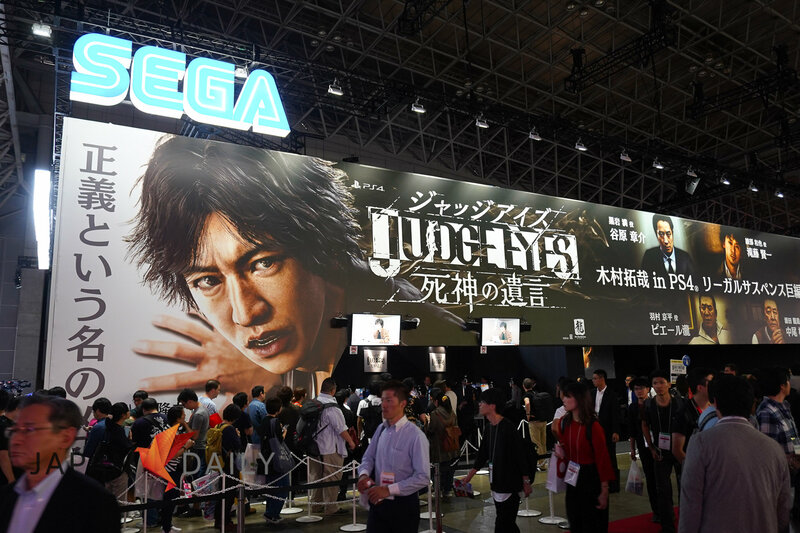 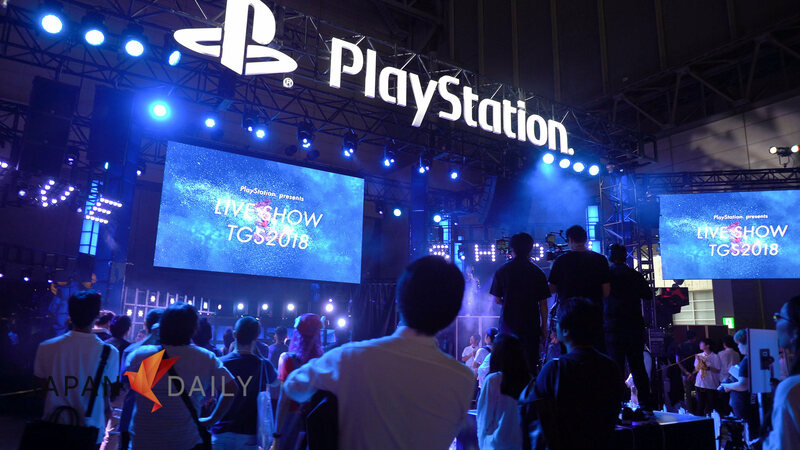 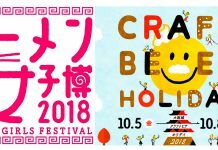 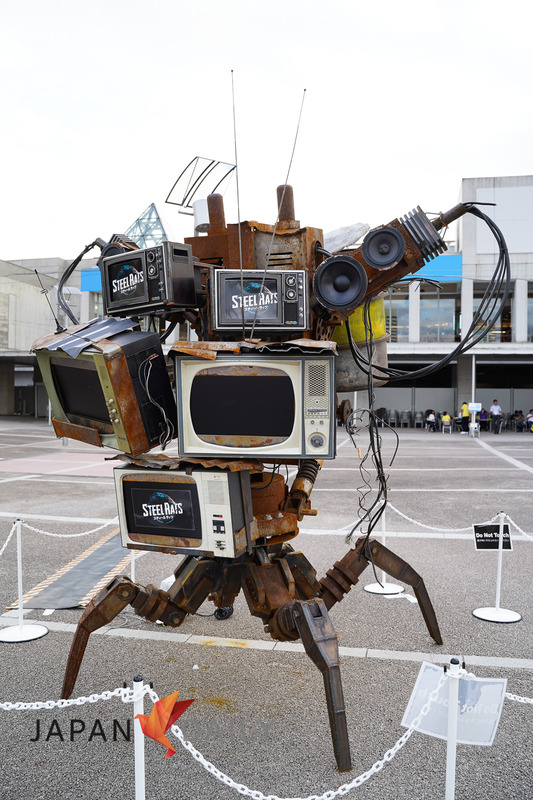 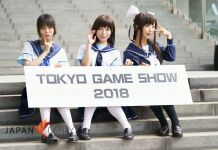 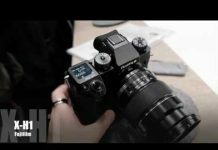 Taking place from September 20th – September 23rd 2018 at Makuhari Messe in Chiba, TGS2018 was at its biggest and best this year, with 668 exhibitors from 41 different countries and regions! 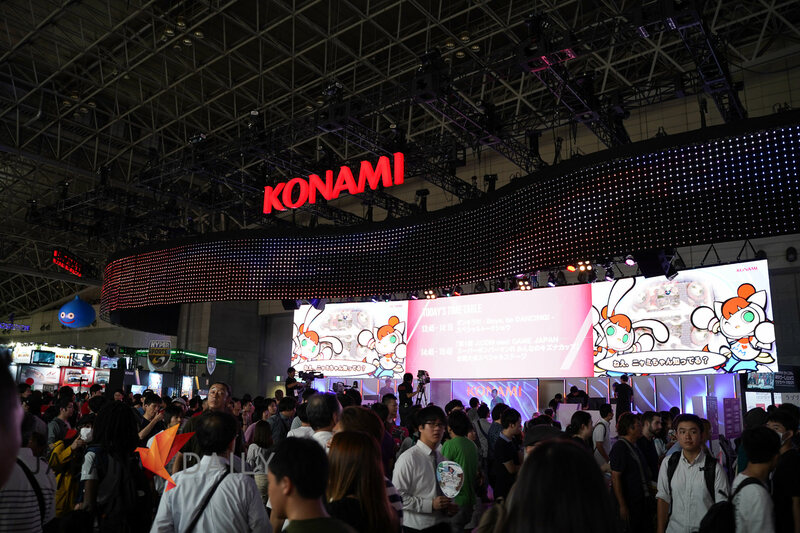 The event is split into two parts: 2 business days for industry and media attendees, and 2 public days which are open to the general public. Total attendance across 4 days was 298,690, a new record for the event! 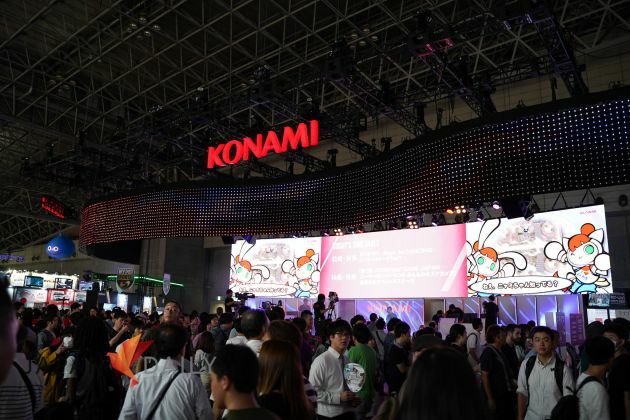 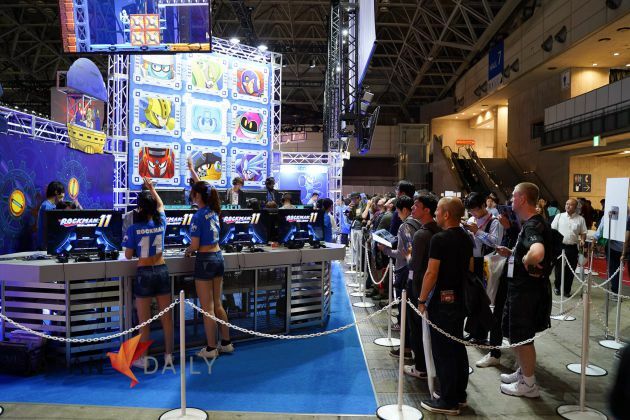 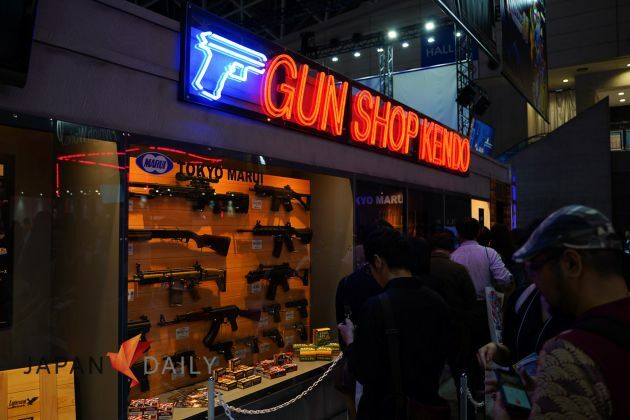 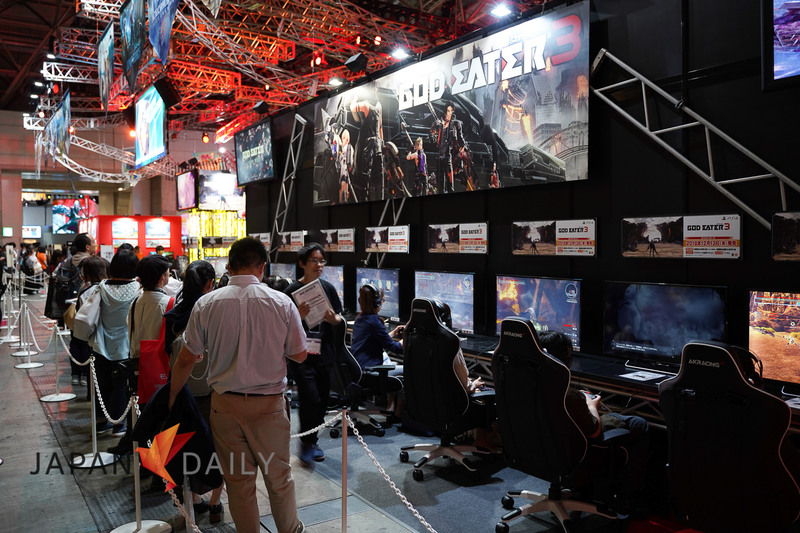 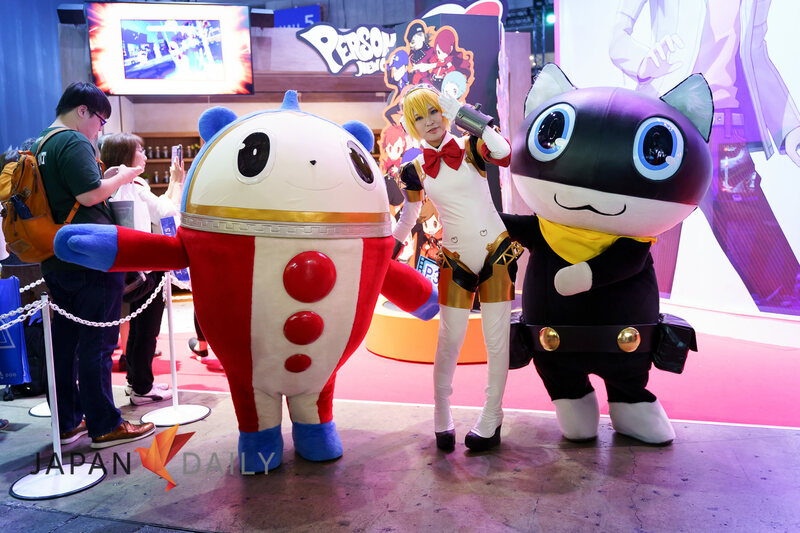 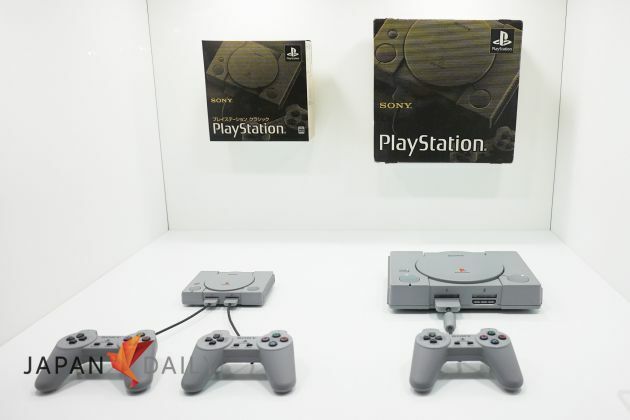 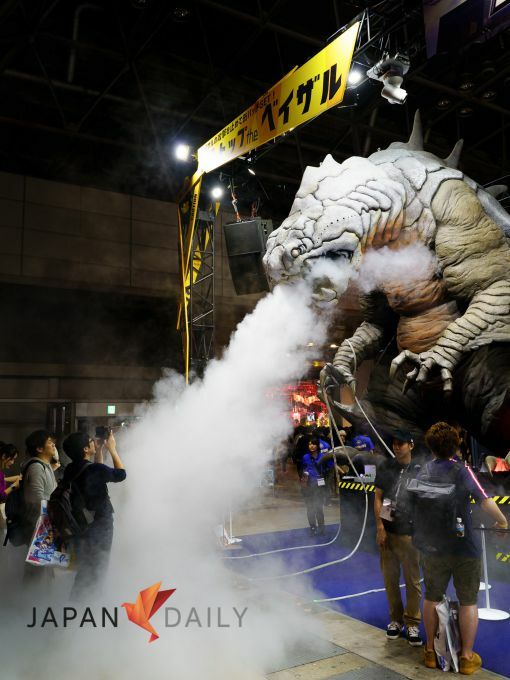 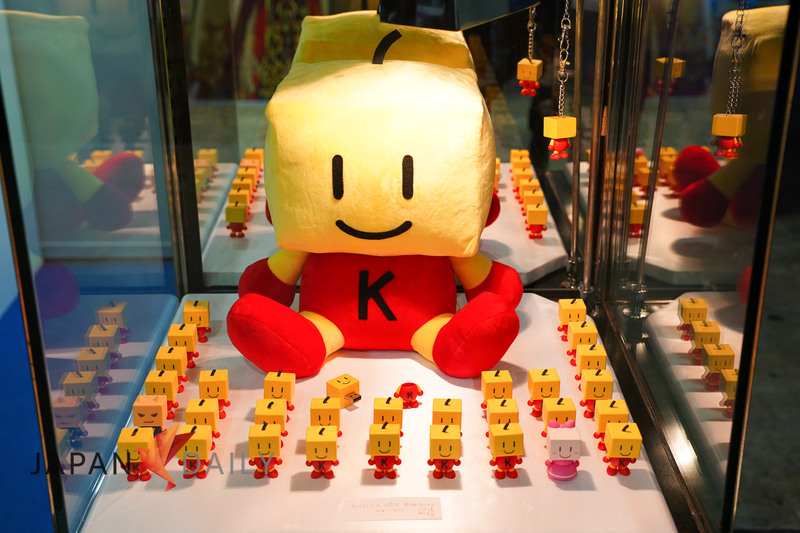 Major exhibitors included well known Japanese industry giants such as Bandai Namco, Capcom, Konami, Sega, Sony, and Square-Enix, just to name a few, as well as a host of other large, mid-sized and small companies from Japan and the world. 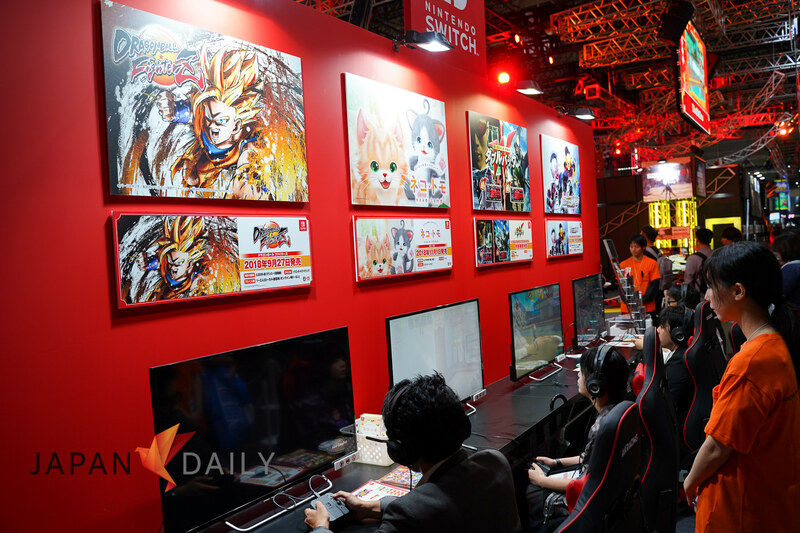 Notably absent from the convention hall floor was Nintendo, which tends to hold its own events, although they did have a presence in the business meetings area. On the other hand, there was an increased number of indie developers participating in the Indie Game Area, up to 154 booths from 121 last year. 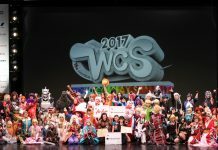 “Welcome to the Next Stage” was the theme for this year’s event, and it certainly felt like it. 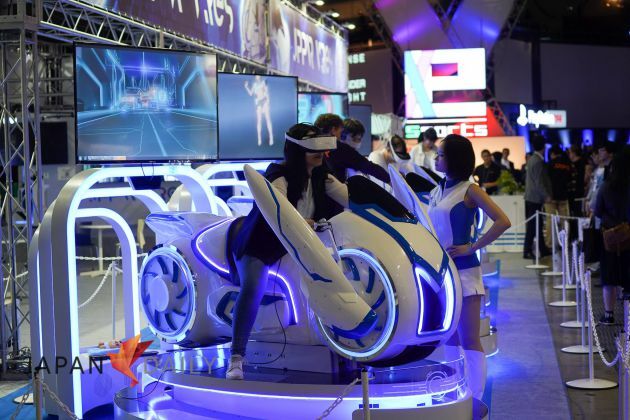 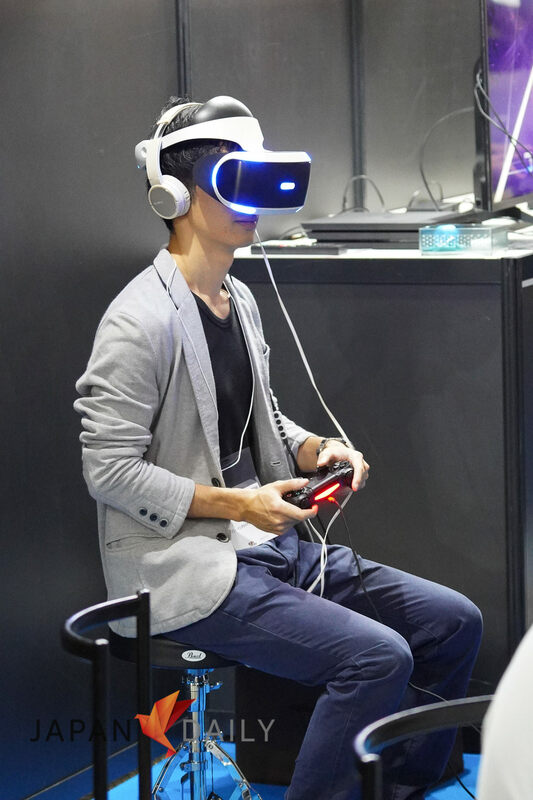 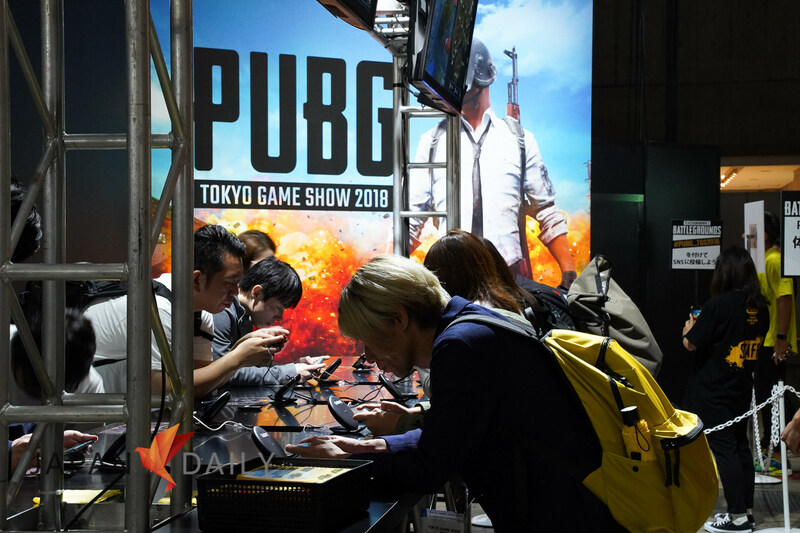 Game-wise, the number of VR titles and PC titles on display at the show increased markedly, up 15 and 45 respectively, while smartphone titles continued to make a strong showing, representing roughly 30% of all titles. There was also a strong focus on e-sports, including a special purpose-built pair of stages, each with a capacity of up to 600 people. 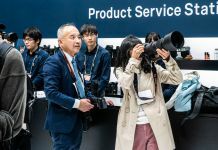 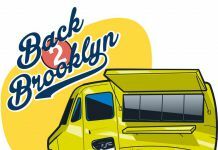 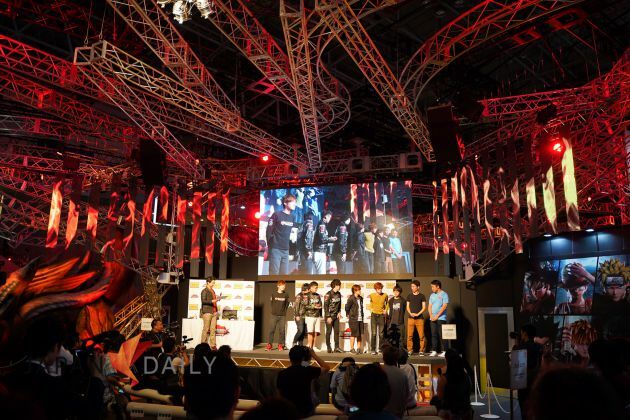 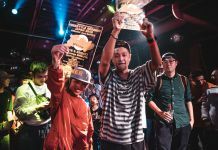 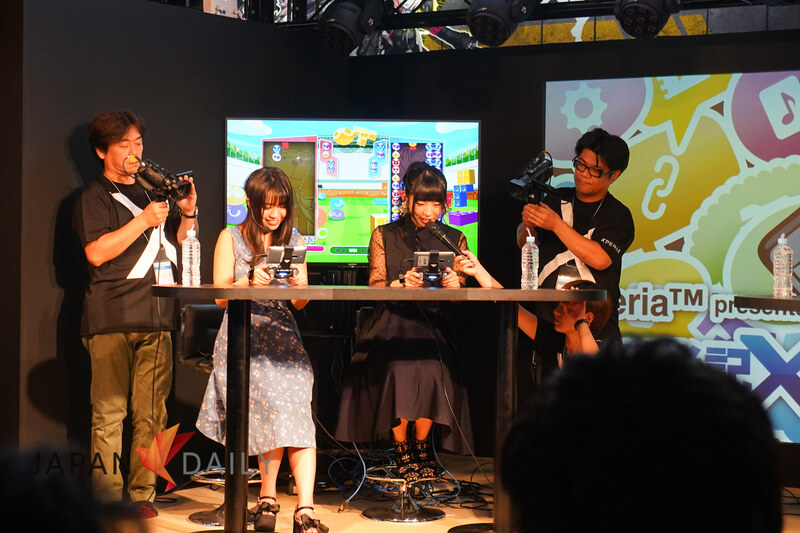 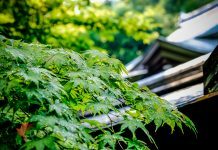 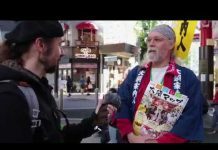 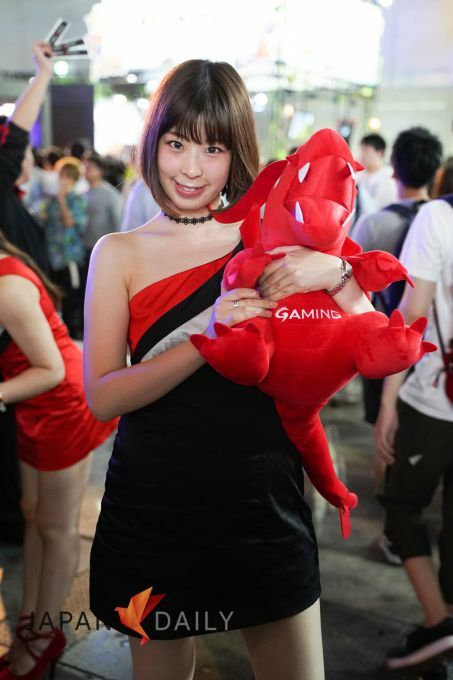 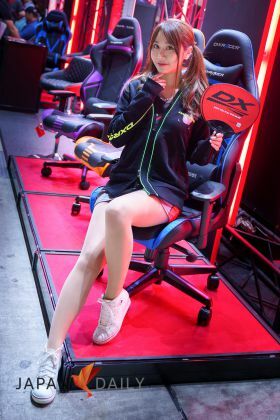 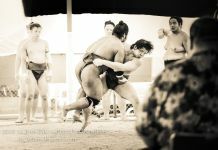 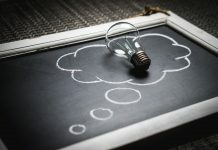 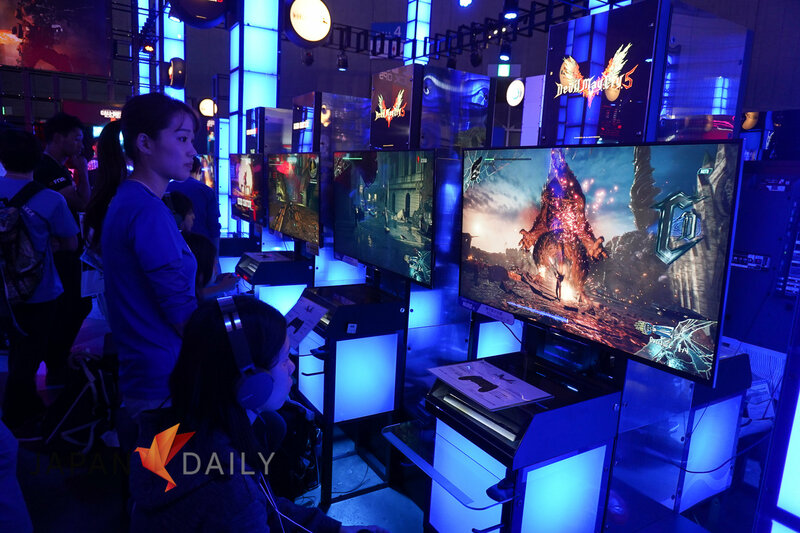 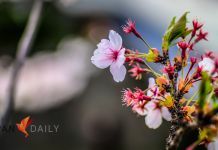 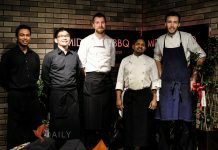 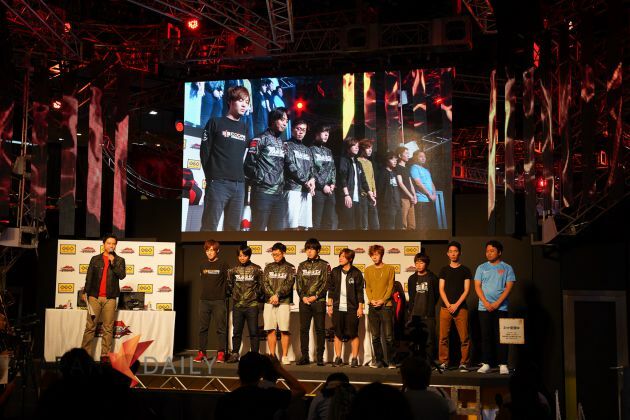 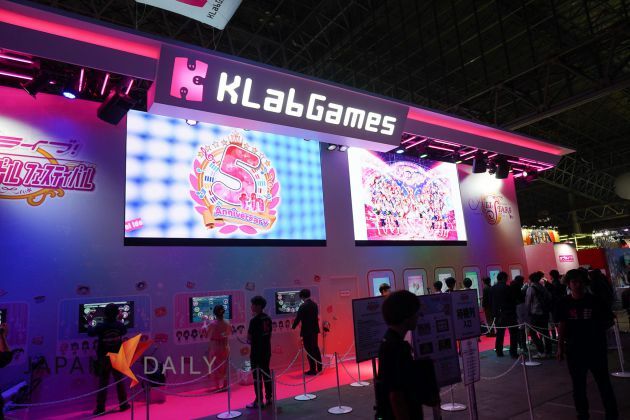 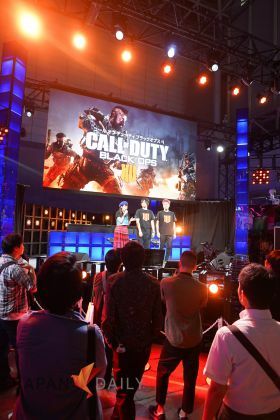 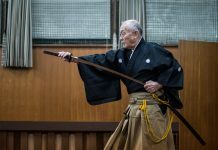 This new development reflects the growing popularity of professional gaming in Japan, hot off the heels of changes in law allowing for bigger cash prizes. 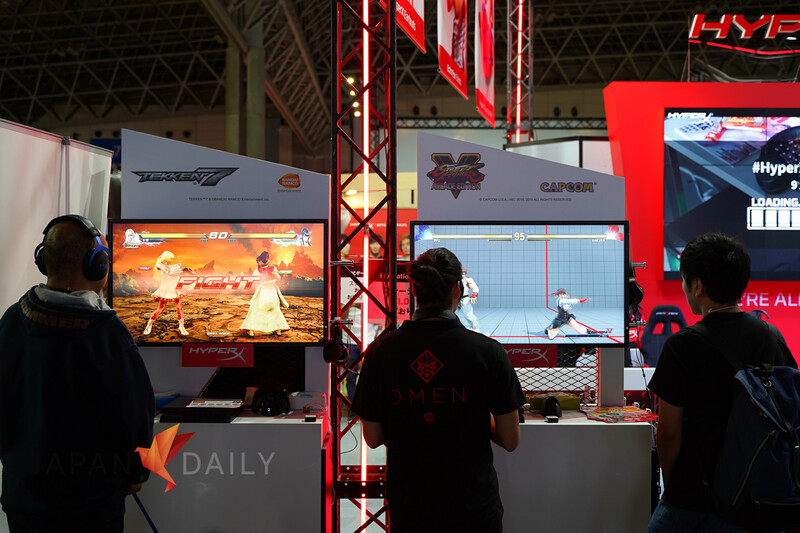 Furthermore, the Family Area for parents and young children provided an opportunity for the youngins to get a taste of the world of gaming. 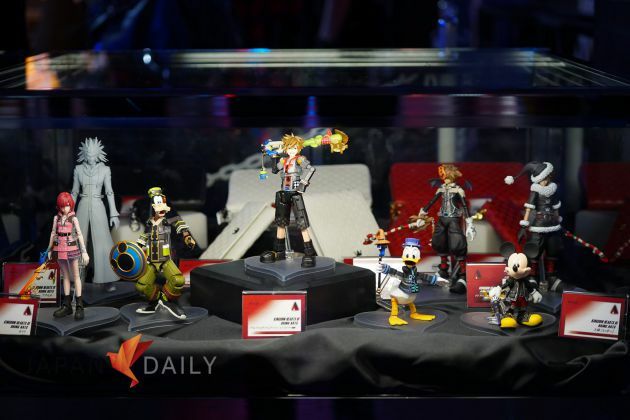 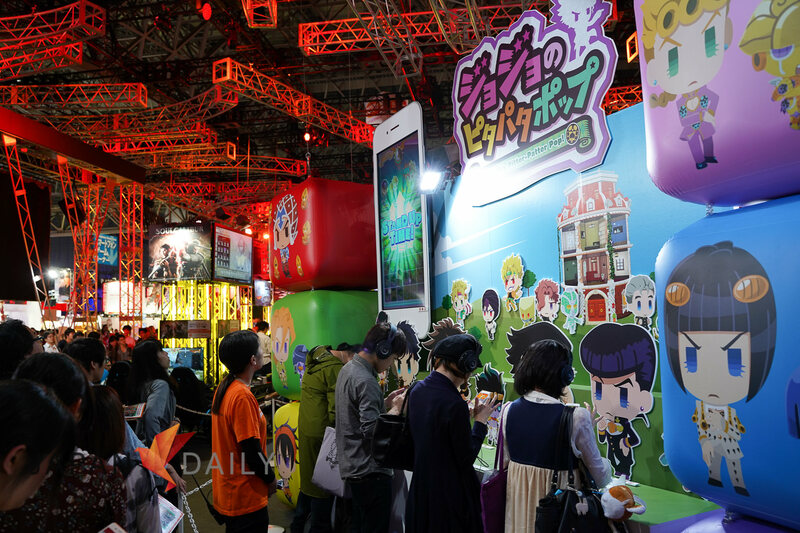 Several major upcoming titles were featured at the show this year. 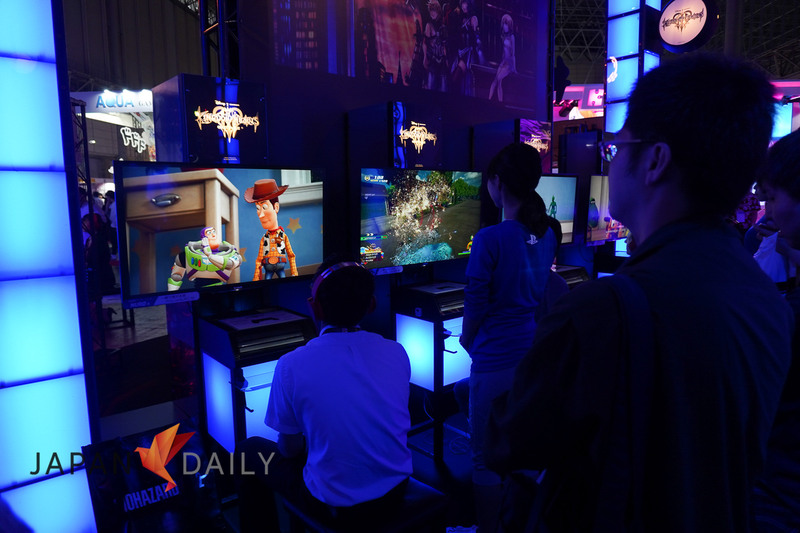 Kingdom Hearts III is the latest title in the hit crossover RPG series, featuring a wealth of settings and characters from Disney and Pixar films. 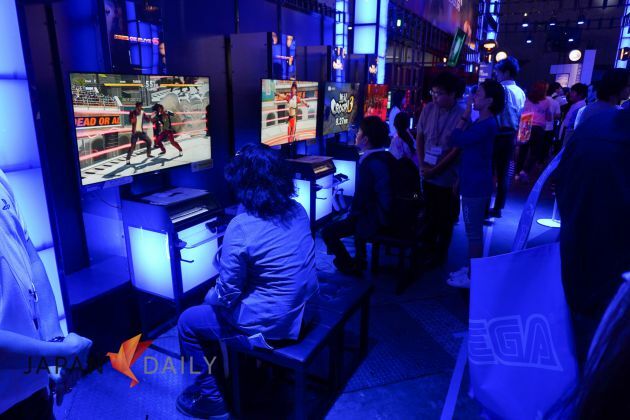 Dead or Alive 6, the next iteration of the long-running fighting game franchise, looks and feels fantastic. 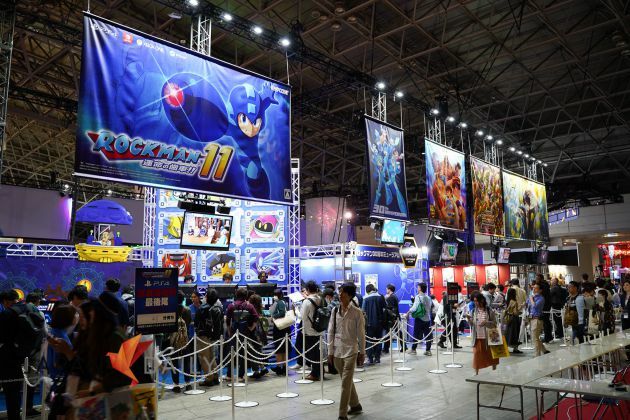 Rock Man 11 by Capcom is coming out in October 2018. 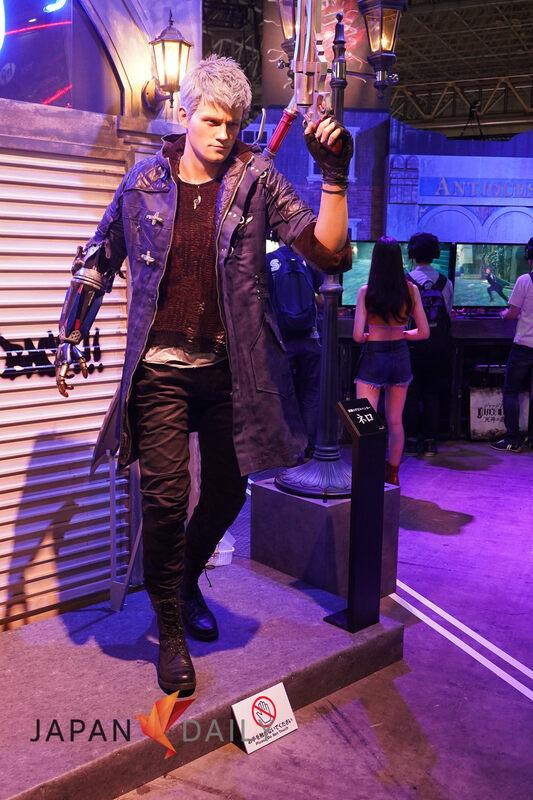 Dante is back for Devil May Cry 5, from the well-known demon hunting action-adventure game series. 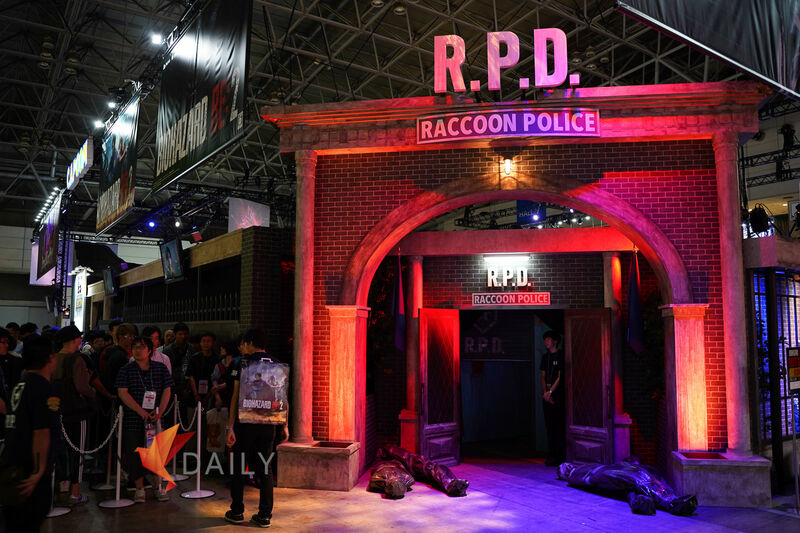 Resident Evil 2 (2019) brings you back to Raccoon City and everything that awaits in this survival horror remake. 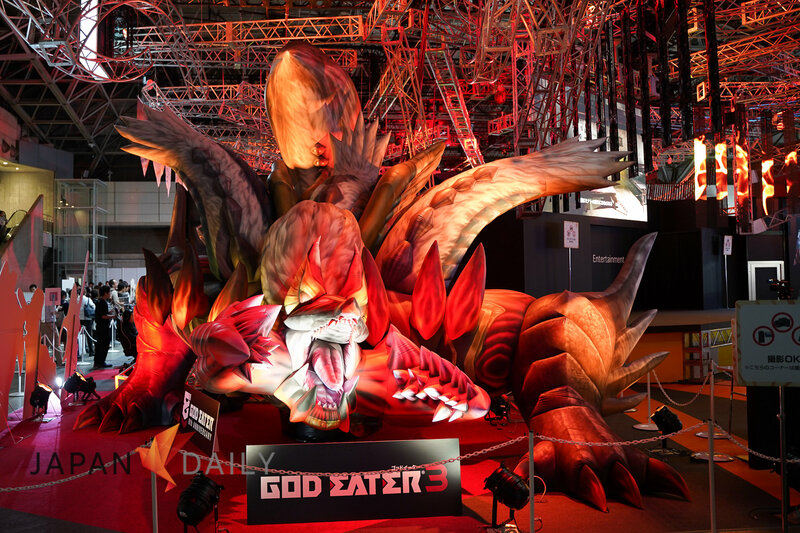 Largely dominated by sequels, but definitely solid offerings across the board. 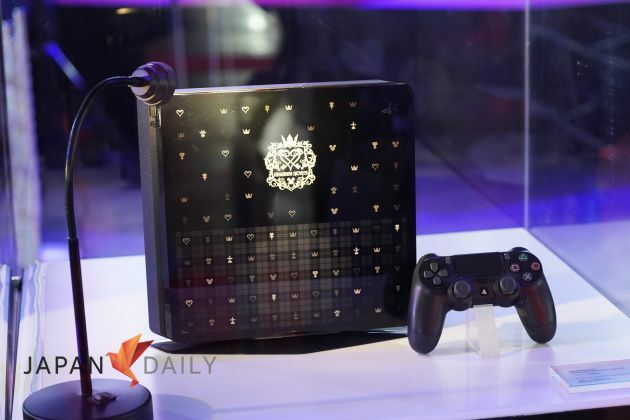 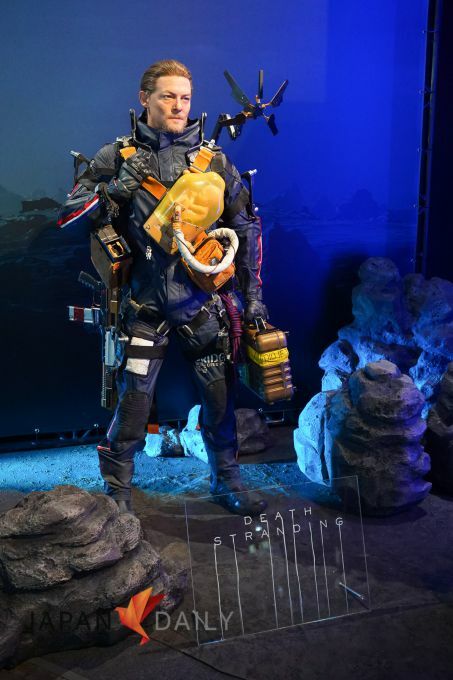 Perhaps the most hotly anticipated game of the show was Death Stranding, the ongoing new project being spearheaded by Hideo Kojima, famed game designer best known for creating the Metal Gear series. 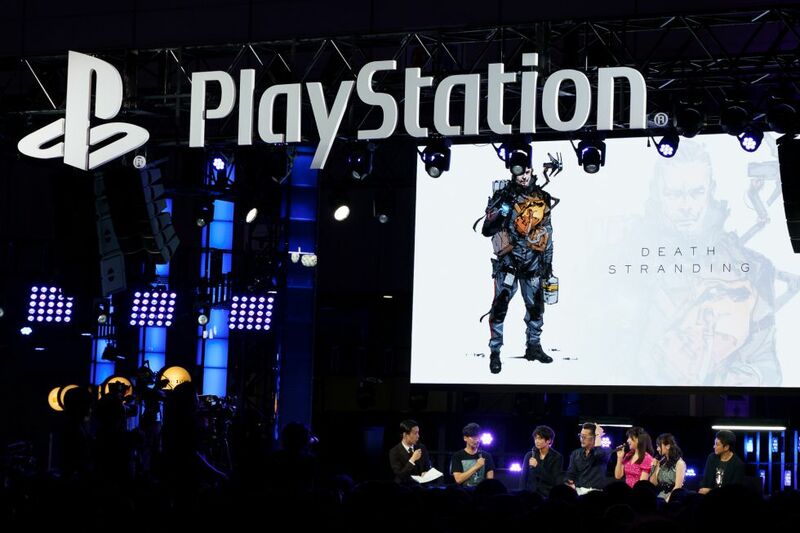 An action game set in an open world, Death Stranding is shrouded in mystery and still without a release date. 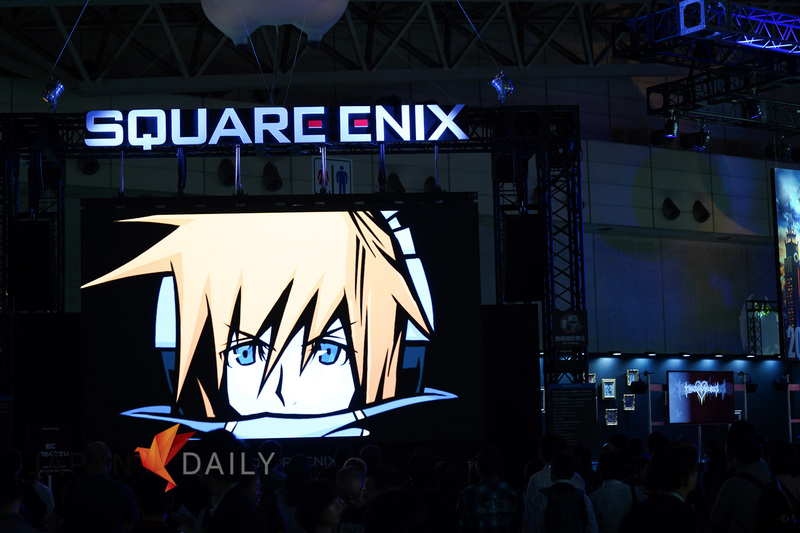 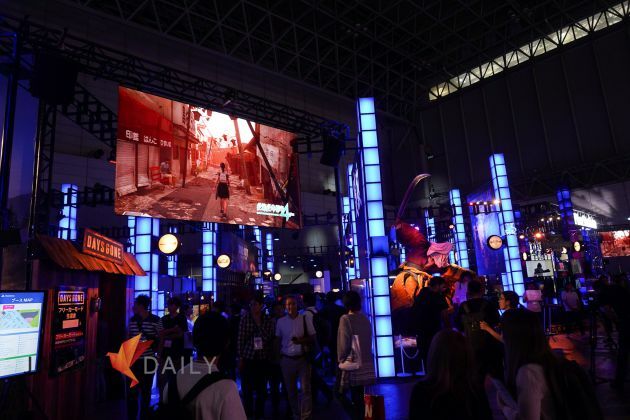 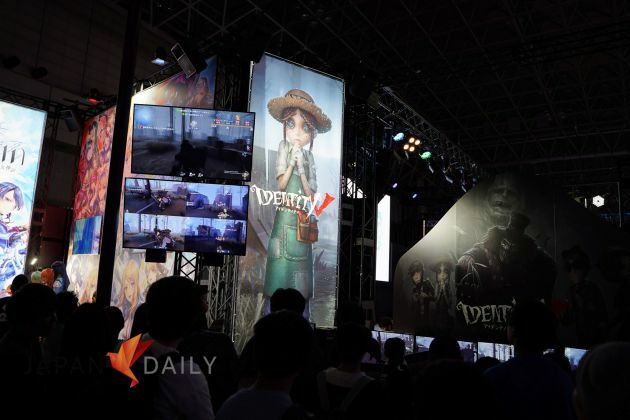 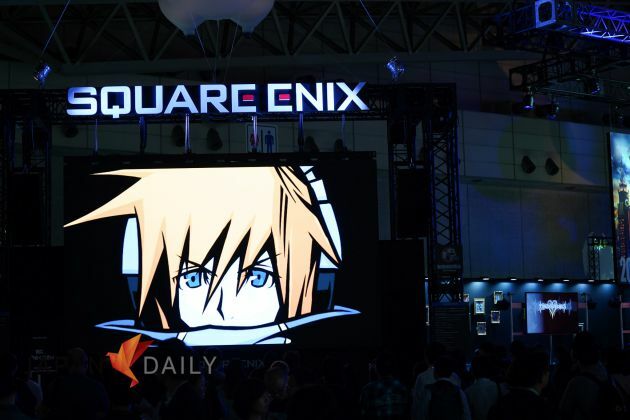 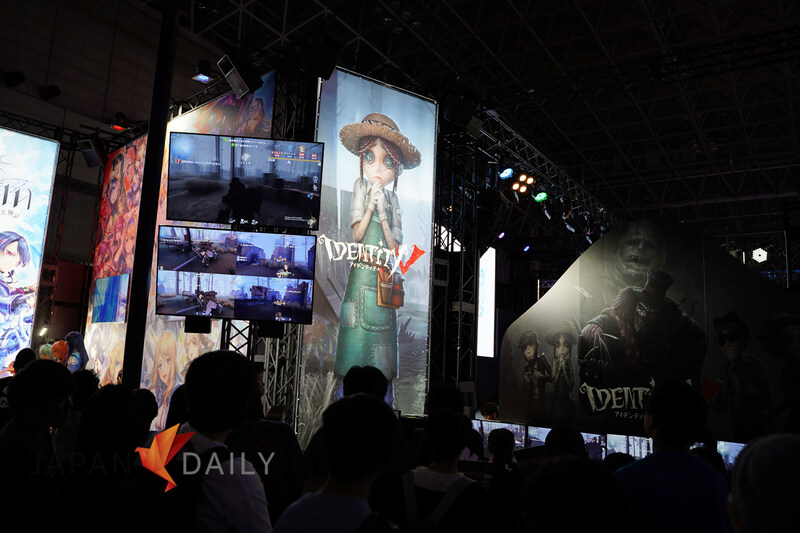 However, a new trailer was shown at TGS, further tantalizing fans with a taste of what is to come. 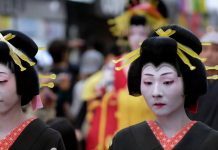 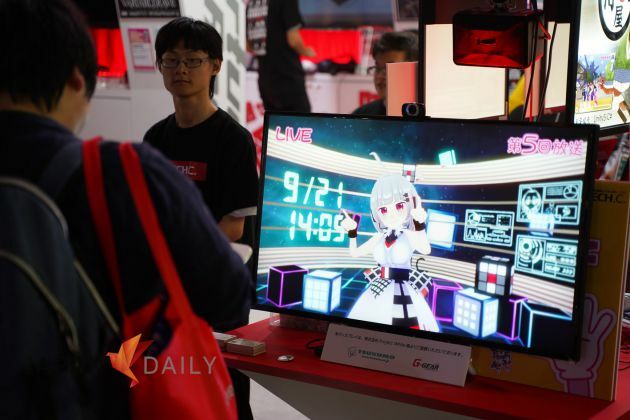 I’ve been a regular visitor of the public side of the event for several years now, but compared to the frenetic energy of public days, business days are a slightly more subdued affair. 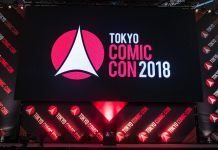 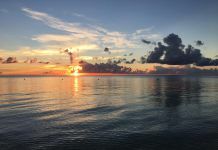 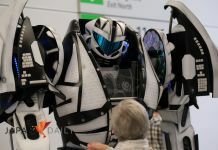 One of the biggest differences is in the amount of space to walk around the convention halls; no surprise considering each public day’s attendance is typically about three times greater, at around 100,000 people per day, versus roughly 30,000 for business days. This unfettered access allowed for a more relaxed TGS experience than I’ve been accustomed to, with shorter lines for game demos and more opportunities to interact with booth staff. 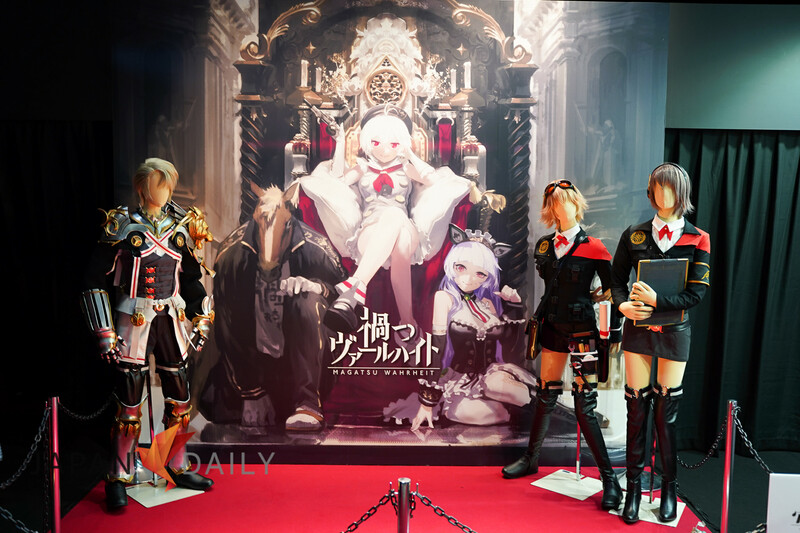 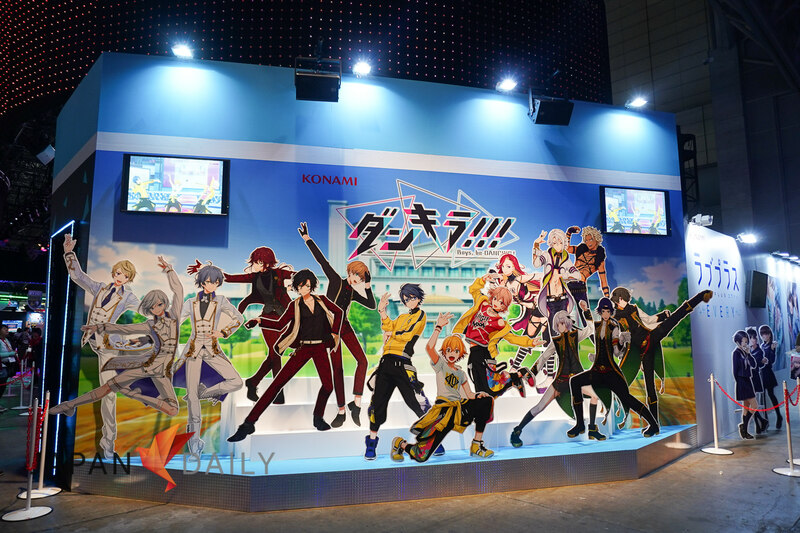 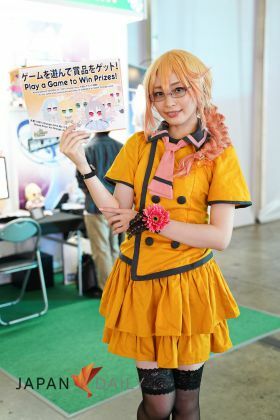 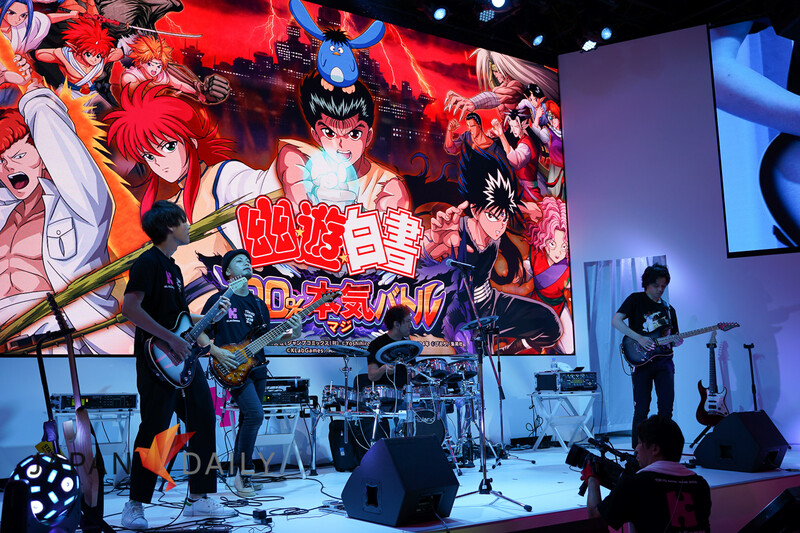 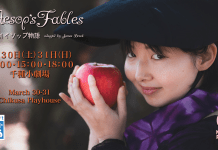 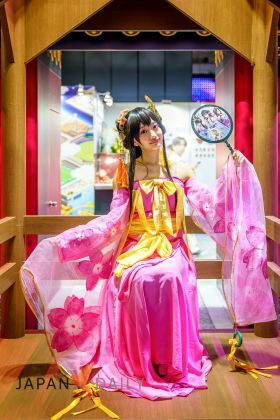 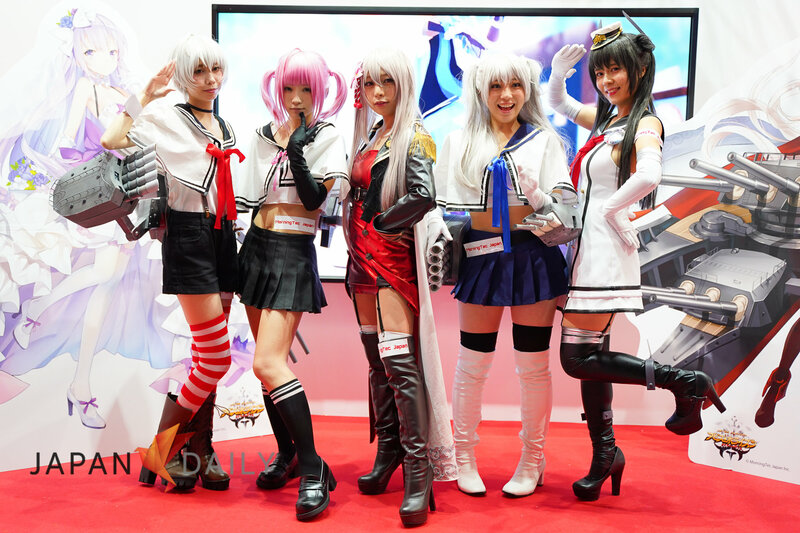 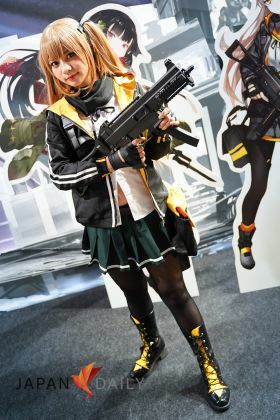 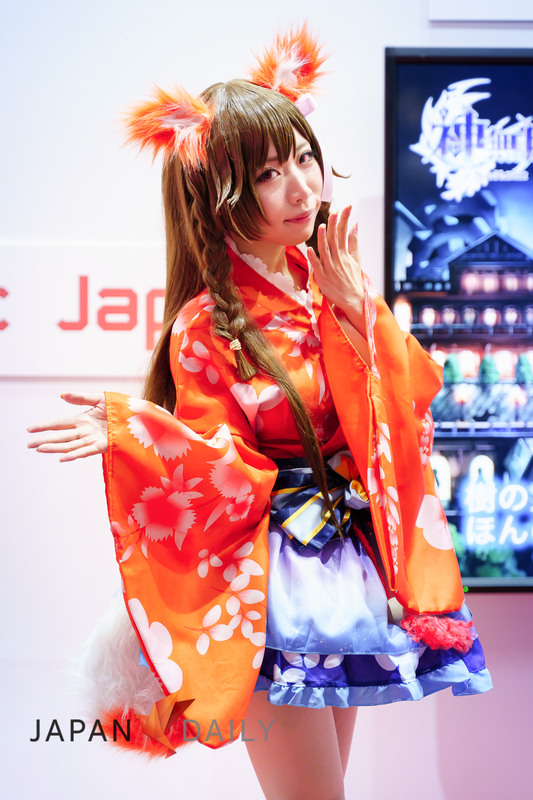 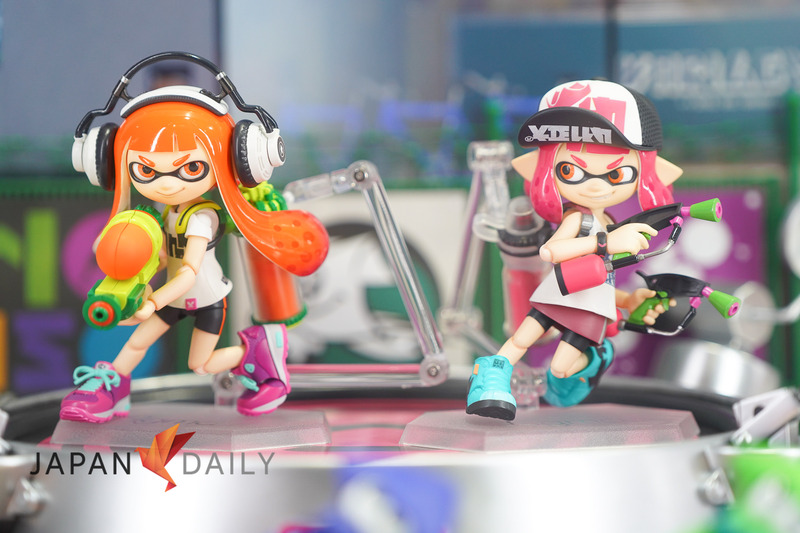 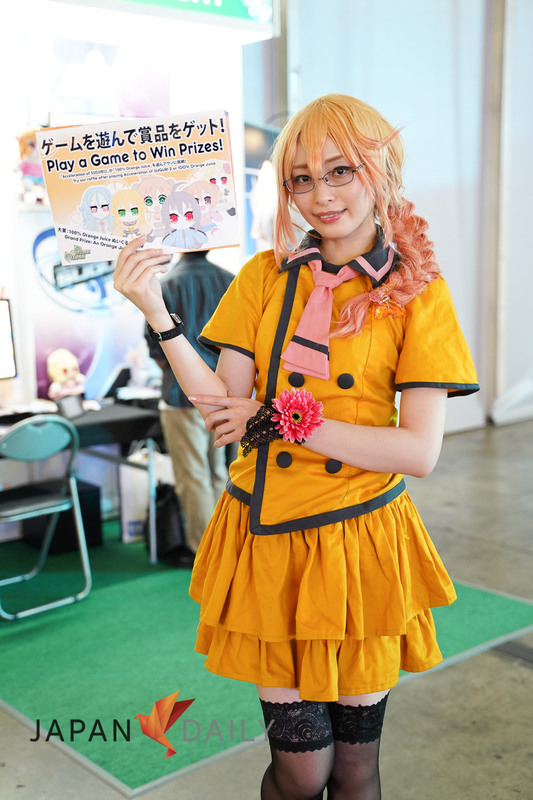 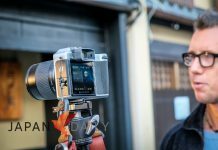 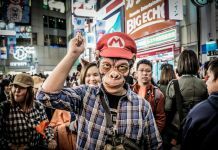 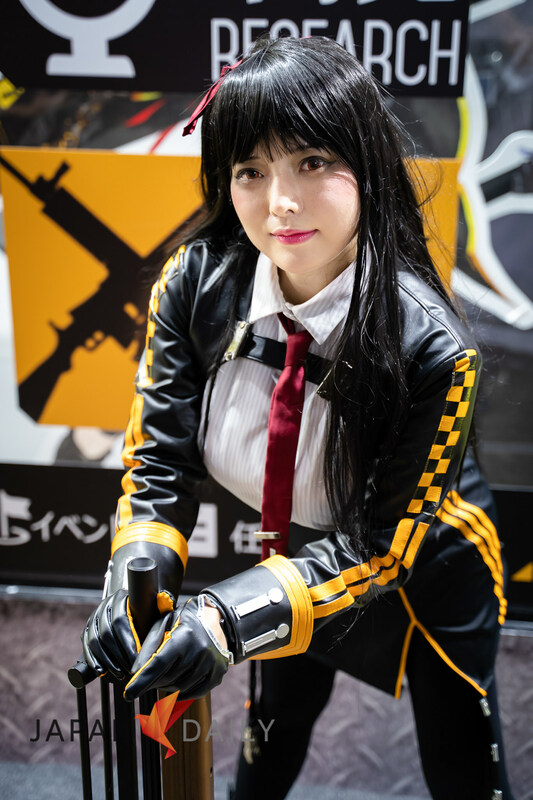 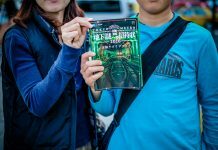 There have always been strong ties between anime and gaming in Japan, with many major mixed-media franchises branching out into both areas, so it should come as no surprise that anime and cosplay culture are closely intertwined with the games industry here. Several booths had press conferences and stage shows using well-known voice actors, singers, and cosplay models to liven up their presentations. 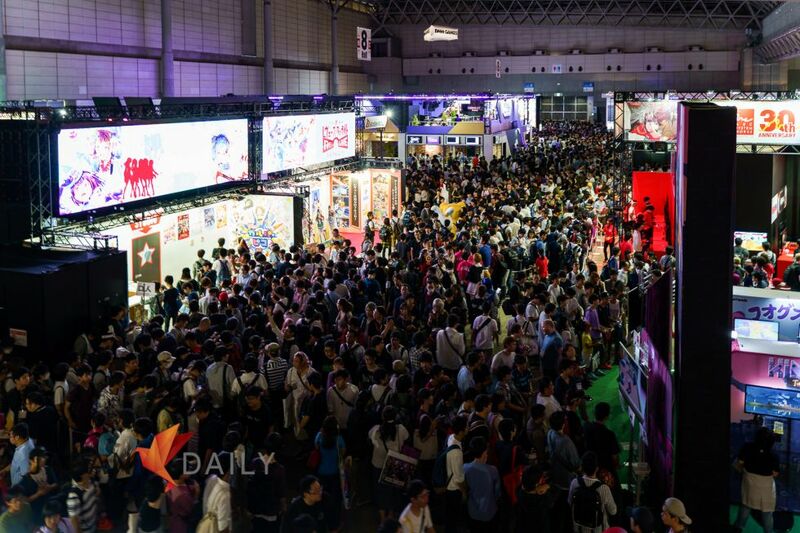 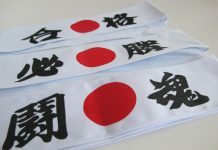 Although the games scene is very diverse, anime-style art defines many titles unique to Japan. 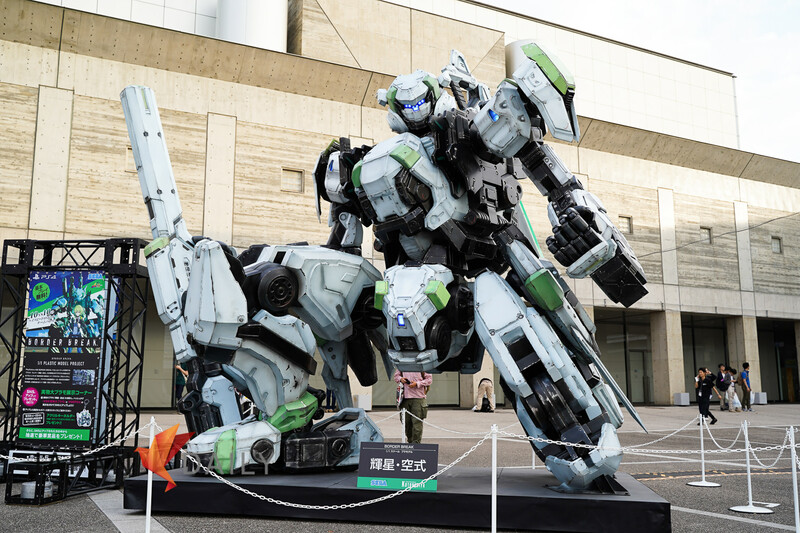 All in all it was an incredible event and definitely worth seeing in person. 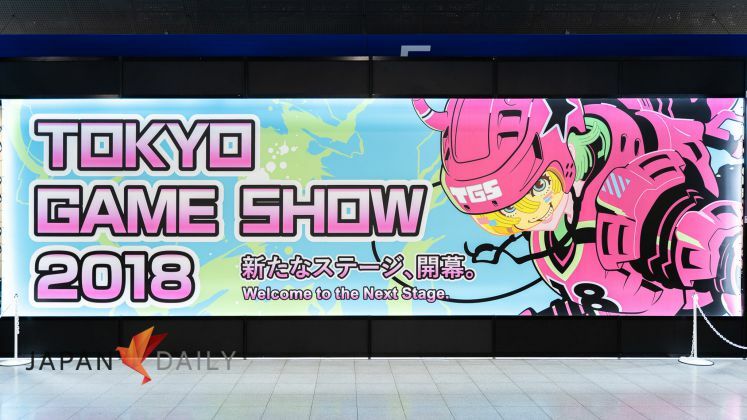 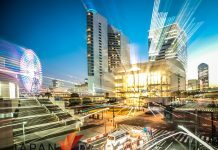 For those interested in attending next year, Tokyo Game Show 2019 will be held at Makuhari Messe from September 12 (Thu) to September 15 (Sun), 2019.